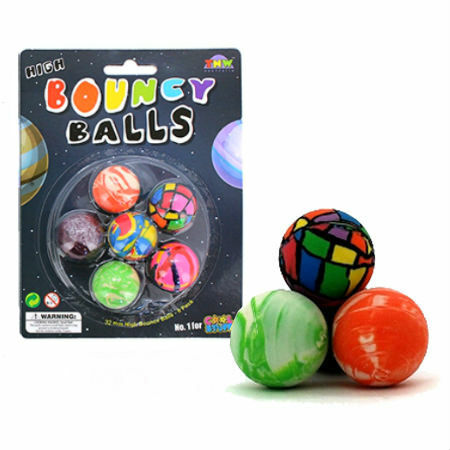 High Bounce Balls 6 Pack are a set of 6 highly coloured rubber balls with a lot of bounce. These balls have swirly patterns and come in a set of 6 and have a 32mm diameter. These balls are great fun and with six you can create all sorts of races and competitions with friends. We like this because: "Beautiful colours lovely bounce."